WHAT’S FIVE WORDS TO DESCRIBE YOUR COMPANY? Innovative, creative, unique, bold, inspiring. 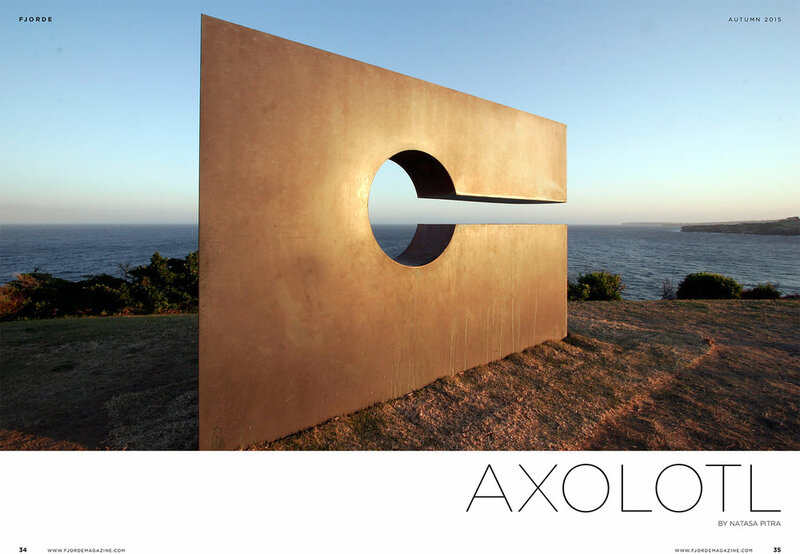 Axolotl was founded in 1995 and was successfully run by myself and my brother Kim; from our small premises in Surry Hills. By 2005 we had developed the metal range further, moved to a larger premises with far more staff, and introduced the bespoke architectural glass range. In 2011 we invented Axolotl Concrete, evolving the original concept to bond incredibly thin (.5mm thick) concrete finishes to almost any substrate. 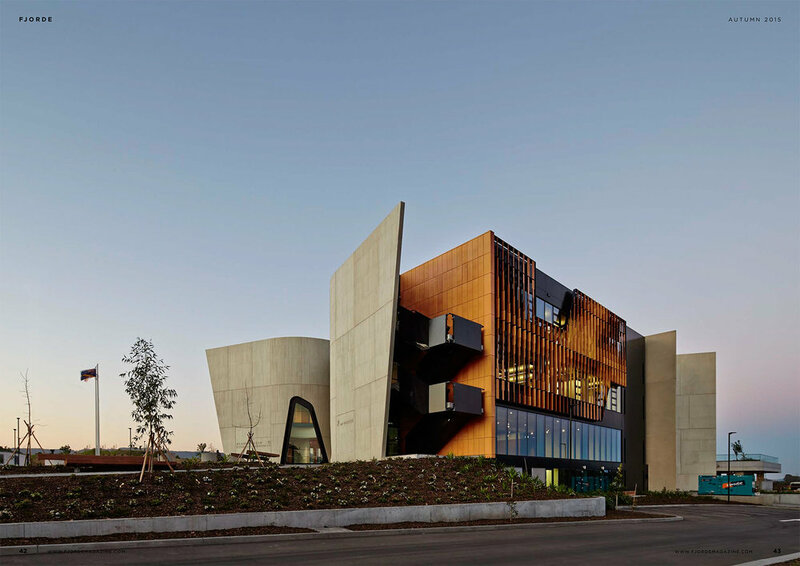 This process has subsequently won numerous Australian and international design awards, as the product allows thin concrete veneers to be applied without it cracking, something which has never been possible and has opened up a huge range of design possibilities. We work closely with artists, architects and designers to create bespoke creations to their specifications, ranging from large public art projects in glass and rust, to custom bronze front entrance doors. One of the best aspects of our product range is that the five materials on offer can be used individually or combined in a multitude of ways to offer infinite possibilities in design. Our processes allow us to inlay metal designs into concrete, or to apply a concrete or metal into glass. An example of how individualised our effects can become is showcased in the new Tiffany & Co’s flagship store in Melbourne, where five very different decorative glass types were used. We’ve been in business 20 years and after all this time I still get excited by the work we produce and the possibilities. WHY METAL, TIMBER AND GLASS PRODUCTS? I have always had a strong interest in materials – particularly natural and building, so developing them in new ways has always held great appeal. My background was studying cinematography however I ended up working as an art director in film for eight years where we always had to work on finding innovative ways of producing a certain look within budgetary constraints. Our initial focus when starting the business was metal, however the glass, concrete, timber and terracotta ranges were a natural progression, and provided new opportunities to use these materials in fresh and exciting ways. As the products we use are all natural elements, it is unpredictable and can react in completely different ways from one day to the next. I think that the idea that no two Axolotl finishes are ever completely identical is where the beauty lies in our work. Each day is different to the next. We start at work 6:45am and the day could encompass anything from site meetings, client and subcontractor liaison, development of new materials and products, and working on creative ways to market our product. We do not outsource any of our creative work, including graphics and have designed everything in house from our logo, to brochures, to the website. Our team works together to solve all types of design issues, from construction methods of sculptural pieces, to creating new products by combining two or three of our processes together – metal, glass and concrete. Every job we produce is custom so every job requires new and innovative design input. Our range of projects is quite diverse, both in scale and type. Later this month we unveil a 33 metre glass light art installation, with a video display of a women swimming continuous laps as part of the Art & About festival. It is being placed in an old water reservoir and will be temporary artwork on display for three weeks. Other projects include a 22m bronze feature wall for a private residence, a range of installations in the new Barangaroo development in Sydney, a number of hospitality projects for the Westin and Blue Hotels, and large food courts in Sydney, Perth and Brisbane. We work on approximately 100 projects at any given time. WHAT IS YOUR FUTURE PLANS WITH THE BUSINESS? We spend a vast amount of time working on R + D and have at least six new projects underway. A few have been in the pipeline for more than two years now, of which we plan to bring to market later this year. The new products are always exploring new materials that are unique to the market. We take a fresh approach by either using common materials in a new way, or by taking materials that are normally used in a micro level to the macro scale, and then adding our twist. Our particular brand of alchemy is unique and the global market provides a golden opportunity to spread Axolotl even further.